2 Beds 2 Baths 1,023 Sq. ft.
Come see this Amazing Corner unit condo. Everything in this unit has been updated and remodeled. Every wall has been painted, with one of a kind accent walls in the living room and Master bedrooms. Brand new Washer and condensing dryer, New A/C in 2017 with ability to control temp from your phone. Hurricane impact windows and sliders, Hidden wiring for WiFi and there is even brand new screening on the porch with new weatherproof paint on the railings inside and out. This unit has it all. 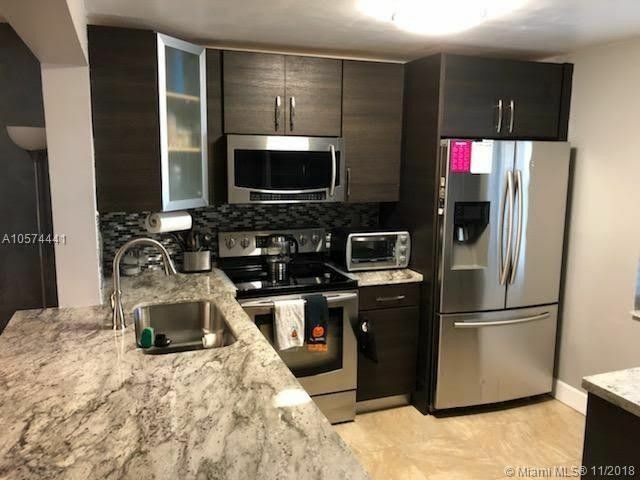 State of the art kitchen, Stainless Steel appliances, Maintenance includes Comcast cable included with HBO. There is even extra closet space with customized shelving. Literally just bring you toothbrush and move in. Hurry this one is sure to go fast! Directions: University north past commercial to Concord Village on left. Unit is locate in the southern most building, corner unit top floor.